The kids are alright, you know. To coin a boringly over-used phrase: juniors are the future of our game. But how are we helping them on their way to becoming the golfers of the future? 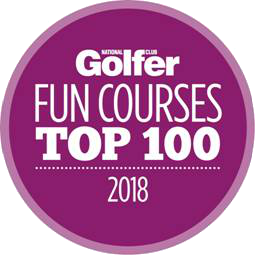 We’re only just beginning to see golf being considered an appropriate activity in schools – ten years ago golf was scoffed at by PE teachers who would question its validity as a sport. Hopefully, gone are the days when A-Level practical golf exams involved the student being filmed hitting a full shot, then a chip, then holing a putt (no complaints from me, easiest marks I ever got!). We can’t simply rely on Tiger’s amazing resurgence to inspire and motivate the next generation of members; golf clubs have to be bold in their junior development strategies. We at Tadmarton Heath have decided to create an initiative that we believe could make a huge difference to the conversion rate from Saturday morning lessons to competitive junior members. We regularly have 20 kids from in and around Banbury attend Saturday coaching, as well as term time lessons in local schools from our two teaching pros, so now it is up to us to bridge the gap from an hour a week to full membership participation, including competitions and matches. From March 2019, we will be introducing our Junior Golf Scholarship Awards. In title, this isn’t an original idea; other clubs have taken the lead in producing programmes that teach and inspire. But we see the significance in integrating juniors into the Club and making them feel valued and, therefore, offer 6 scholarship award winners a year of free membership on top of free weekly coaching sessions, worth up to £465. 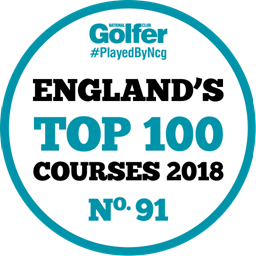 We want their membership of THGC to be something they’re proud of, to become a part of their identity, to be the place where they can’t wait to get to after school. For that reason, any juniors who attend our Saturday coaching sessions, members and non-members, will have the chance to win a scholarship. Importantly, the criteria is based on not only the progression of their technique and performance, but also their attendance and commitment to learning the game, as well as their attitude and behaviour at the coaching sessions. As we all know, golf is a game of etiquette and mental strength that can be invaluable in the development of a junior’s manners, patience and understanding what not to do when the red mist descends after a sh*nk or three-putt! If we are to really help create the next generation, the development mental game and integration into life as a club member is just as important as learning the Phil Mickleson flop shot.